The local legends, historical happenings, and backyard secrets of Charlestown, Rhode Island, are the focus of Our Town, an ongoing Rhode Island PBS community project. 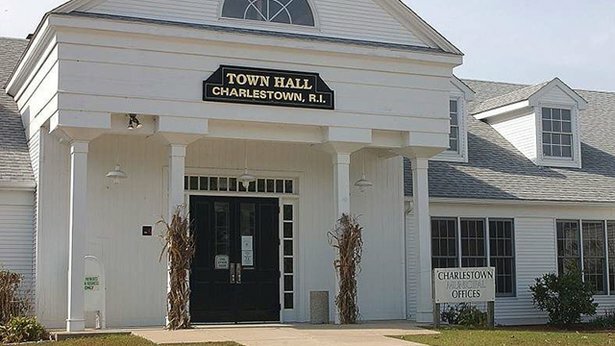 In this, our 9th installment of Our Town, we head southwest to Charlestown. Residents and community leaders there share with us the history, family pride, and points of interest that make Charlestown what it is today. From the history of the earliest settlers and historic homes to organizations and seaside neighborhoods that Charlestown is recognized for today. Join us for Our Town: Charlestown when we learn more about hot spots including The Fantastic Umbrella Factory, the Rathskeller, and the General Stanton Inn. We get an expert explanation about the ecology of the local beaches, and learn more about the organizations that preserve this town’s historic and natural resources. The Charlestown Historical society has a new home to house the town’s archives. Take a spin through history with them as they share stories about the town’s earliest settlers, mill villages, and beach community. The Wilcox Tavern was home to a descendent of one of Charlestown’s earliest settlers. General Joseph Stanton was born, and died, in the Wilcox Tavern. Learn more about this historic home from its current owner. Charlestown is home to the second oldest continuously used Inn in America, the General Stanton Inn. Come inside to see how this Inn has grown and changed, but also stayed the same since it was built in 1790. Take a step back in time as we take you through the doors of one of Charlestown’s earliest schoolhouses and hear about what the children of the early 1800’s were studying. The Cross’ Mills Common Burial Ground has recently undergone some cleaning and GPS mapping, but this cemetery dates back to the 1600’s…find out about some of the locals who are buried here. The Charlestown Rathskeller opened during prohibition, an original Rhode Island Speakeasy. Get a glimpse inside this historic restaurant, much of which has been preserved to look just as it did when it opened in 1933. From Christmas parties to bake sales, the Charlestown Ladies Auxiliary was the backbone of the town’s earliest fire department. Hear from one of its first members about their role in keeping the residents of Charlestown safe. Let the Charlestown Land Trust take you on a journey through time. Learn about how property in this town has been used over the course of hundreds of years, and how it is being protected and preserved today. Many Rhode Island residents don’t know that some of our best pilots, flying over Japan in defense of our country during WWII, were trained right here in Charlestown Rhode Island. Quonochontaug, or Quonnie as it is known to the locals, was a destination summer sanctuary beginning after the Civil War. Hear from a woman whose grandparents were some of the first summer settlers in Quonnie about what it was like to summer along this shore. This is the story of a young member of the Mageau family wanting to preserve her ancestors stories about growing up in Charlestown. From air raids during war time to being outcast for their political and religious beliefs…the stories of these siblings will have you on the edge of your seat. Residents of three of Charlestown’s beach communities describe what it was like to summer in this town as children in the 60’s, how it has impacted their lives as grown-ups, and their hopes for the future. The Charlestown Salt Ponds Coalition protects and enhances the salt ponds from Westerly to Narragansett. In their submission they give us a glimpse of the role the salt ponds play in the ecosystem of Charlestown. Enjoying one of Charlestown’s spectacular beaches is easy….throw your blanket down and enjoy. But have you ever wondered HOW the beach was formed or HOW the beach is being protected for future generations? Take a walk along a barrier beach in Charlestown with an expert in the field to learn more! The Stoney Hill Cattle Company stands on a piece of farmland that has been continuously farmed since the 1600’s. The current owners are third and fourth generation of the same family to keep this locally owned and operated small business going. There are no umbrellas produced at the Fantastic Umbrella Factory, but this whimsical property is one of Charlestown’s biggest attractions. Find out why, and how they came up with the name!